Once upon a time... magic and witchcraft was the answer to all of life's problems. People turned to herbs for medicine, food and magical answers. They wore crystals and gems as jewelry for aesthetics and as talismans for protection and other attributes. They paid attention the phases of the moon, the direction of the wind, and the seasons of the year for practical purposes, yes, but also in search of magical messages. Magic, in essence, is practical. Our ancestors turned to it when they needed help: healing illnesses, protecting crops, attracting lovers, bringing luck, banishing fortune and more. Though our troubles may have changed slightly, modern witches aren't so different. Magic is something we use to help us get what we want or need. Witchcraft is a Science, an Art, and a Spiritual Practice. Much of the magical tradition I practice and share with you is rooted in folk tradition and lore. There are parts that stem from the wise women and healers and pieces that grew out of the scholarly Hermatic and Cabalistic traditions, as well. The magic practiced in Witchcraft works in accordance with certain scientific principles and laws. Seven principles to be exact. These were first published in The Kybalion in 1908. This book, which is said to be based upon ancient Hermeticism. This ancient philosophy has influenced all major religions and philosophies, ancient and modern alike. 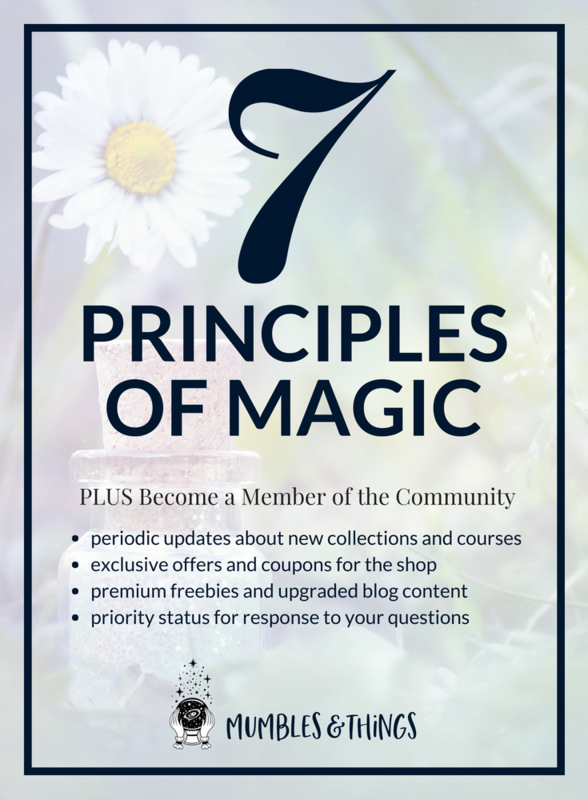 This post is simply an overview of each of the seven principles. Each principle will have its own post (linked below). Otherwise, this post would be about nine years long. You’re welcome. To understand these principles is to enter a territory that may be strange and unfamiliar to many modern people. Especially to those of us entrenched in Western culture. It is familiar, too. Some of it is recognizable from folktales, habit, and cliché. The worldview each of us holds is simply a model we create to help us make sense of the infinitely complex universe. My hope is not to try to fit magic into the worldview you already hold, but to help you discover the magical way of looking at the world. By the end of it, you will not only understand the how of magical workings but the why as well. Science gives us a map of the purely physical side of the universe. It helps us to understand and predict the way things behave in the physical realm. To understand magic, we need a map of the subtle, nonmaterial forces in the universe. The principle of correspondence basically says that our current reality is a mirror of what is going on inside us. You are the microcosm and the universe is the macrocosm. The part (you) contains the whole and the whole (the Universe) contains the part. Therefore, our reality is a result of our inner most dominant thought. The principle of Mentalism tells us that there is some higher power: god, goddess, the universe, spirit, the source, sky boss, whatever you want to call it. Furthermore, we are all thoughts that appear separate, when in fact we’re all connected within the Divine Mind. Therefore, the universe responds to our thoughts. Thoughts supplied with energy become reality. The ability to create, is a power that we share. The differences between physical matter, energy, and spirit are the levels at which they vibrate. Physical matter is a dense, low vibration and the Universe is at an infinite level of vibration. In between objects of the lowest vibration and the highest level, there are innumerable varying degrees of vibration. The law of polarity says that everything can be separated into two wholly opposite parts, and that each of those still contains the potentiality of the other. Beyond this, you cannot qualify the dual parts. No event is solely beautiful or solely tragic. It is impossible to have one without the other. Furthermore, there is both good and bad in all of us. No person is just good or just bad. There is a balance between opposites. The Principle of Gender focuses on one specific polarity: masculine and feminine. I call these active and passive. Some witches celebrate the Divine as a mother goddess (feminine energy) interacting with a father god (masculine energy) joining together to create all of love and life. Everything in this world has order and that’s what the Principle of Rhythm is all about. In nature we see rhythm in the changes of season, the phases of the lunar cycle, and the stages of development. Everything in existence is like this: cycling, swaying, flowing, swinging back and forth. Everything is either growing or dying. In every moment, you share the power of the Universe within you. You receive from it and send to it the power of life. Everything you think, say, and do involves the exchange of magical energy. Every exchange of energy creates something new. Therefore, everything you experience or observe effects you on a magical level. 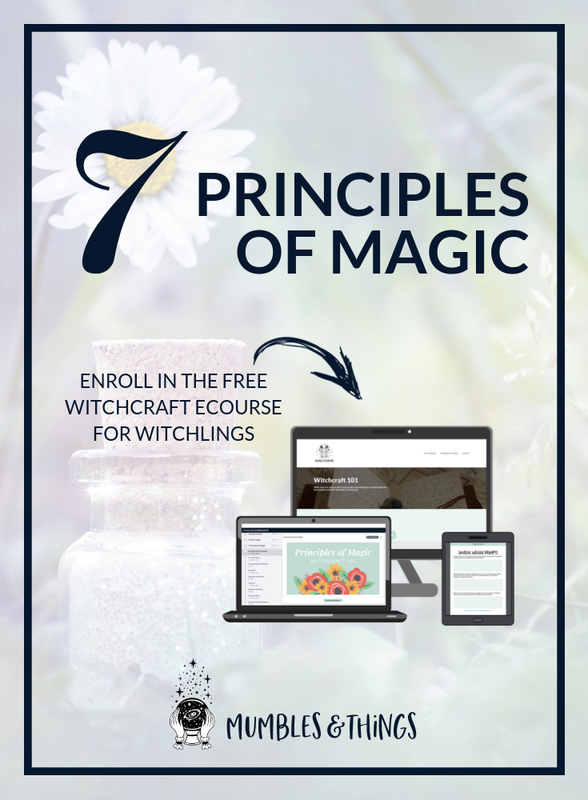 By understanding the seven principles of magic, you can create and manifest the world you want to live in and live more consciously within the pattern of reality. For me, learning about these basic principles of magic that our ancestors wrote, was really powerful. Tell me what you think about them in a comment below.